The stock was up 2% to Rs 289 on Wednesday, extending its previous day's 2% gain, on reports that cigarette maker has increased the price of three brands - Bristol, Flake Excel and Capstan. Shares of ITC were up 2 per cent to Rs 289 apiece on Wednesday, extending its previous day’s 2 per cent gain, on reports that cigarette maker has increased the price of three brands - Bristol, Flake Excel and Capstan. The Kolkata-headquartered company has increased prices by about 7 per cent to 14 per cent. The price of Flake excel is hiked by 11 per cent, Bristol by 6.7 per cent and Capstan by 14.5 per cent by the company, the PTI report suggested. Following the news, Morgan Stanley maintained its 'overweight' call on ITC with a target of Rs 320. Morgan Stanley sees the stock trending higher from current levels. Visibility for FY20 cigarette EBIT growth has improved, CNBC TV18 reported. Since January 23, post-December 2018 quarter (Q3FY19) results, ITC has underperformed the market by 4 per cent, as compared to a 1 per cent decline in the S&P BSE Sensex till Friday. ITC is a leading cigarette manufacturer in India, with over 75 per cent volume share, enjoying significant competitive advantages. 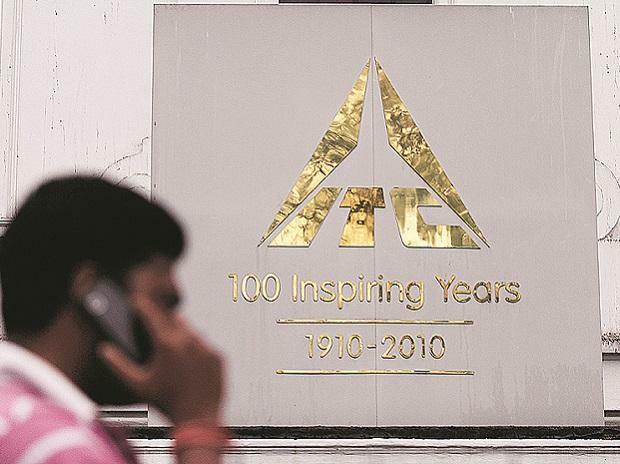 In Q3FY19, ITC’s operating profit margin from the cigarettes segment, accounting for around 85 per cent of its overall operating profit, declined around 50 basis points (bps) year-on-year to 70.1 per cent. The drop in margin on account of high raw material costs (consumption of high-cost tobacco leaves), and a rise in revenue share of imported cigarette capsules that fetch lower margins. ITC has not passed on the higher cost to consumers. Analysts at JP Morgan remain positive on the long-term growth for ITC, given the low share of cigarettes in overall tobacco consumption, ITC’s dominant positioning, high barriers to entry, and improving profitability/returns for its non-tobacco businesses. The combination of the relative security of earnings and reasonable valuations (post significant underperformance over the past year) makes it attractive and should lead to outperformance. We believe the worst is over on the growth front and we expect cigarette volume to stabilize and improve sequentially in coming quarters, the brokerage firm said in a company update with ‘overweight’ rating on the stock and target price of Rs 325 per share. FY19 didn’t see any tax increase for cigarettes, which was a much-needed respite for the company to recoup some of the lost volumes to the illicit sector. The company clearly chose volumes over near-term profitability by maintaining price stability across brands which were required. We expect FY20 to witness around 10 per cent tax increase in cigarette which would result in around 8% blended price hikes by company resulting in around 12 per cent cigarette EBIT (earnings before interest tax) growth. A moderate taxation increase (up to 10 per cent) in FY20E should help stock re-rating from current levels, as volume impact could be absorbed in high single-digit price hikes, according to analysts at Jefferies said in consumer sector report.